Memorials: Missionaries Mark and Anne Wiersma in Jos, Africa. Online: For info & donations: www.resonateglobalmission.org. Search "Wiersma” Add 201903DM07, for the donation to be matched. Slagter, Eleanor (Wiersma), 94 Years Old. Jesus took Mother by the hand and gently ushered her into Eternity, April 3rd. Family was bedside to hold her hand, stroked her hair, sang hymns and prayed over such a wonderful wife of nearly 72 years, Sweet Mother, Sister, Aunt, Grandmother, Great Grandmother and beloved friend. “Precious in the sight of the LORD is the death of his faithful servants.” Psalm 116:15. Eleanor was God’s example of forever giving the Olive Branch of God's grace and forgiveness to reconcile relationships in Christ. “It’s not about us. It’s what Christ did for us that we can’t help but share His goodness, grace and Love with others, so that others may find Peace in their daily walk." Mom was Plymouth Heights Christian Reformed church secretary for years until she retired in 1987. She loved that job. John and El moved to the family cottage at Cobmoosa Shores, Shelby, MI. She really didn’t like “the woods” but preferred to travel. Dad and Mom compromised and summered in MI and traveled across the country visiting relatives and friends. Dad said she was always the happiest when she had wheels under her. They moved to Maple Creek Retirement Community in 2011. They relocated to Seal Beach Nursing Home in CA in December of 2016 to be close to their daughter and family. Mom had dementia. Her daughter has a 1997 BMW Z3, 2-seater convertible. Every time Mom would see it she would say, “Is that your cute little car? SURE! I’d love to go for a ride!” It was a joy to hear that “new" excitement every time. We’d drive off with the top down. Joyful memories. The last 2 1/2 years in California have been wonderful. Warm, sunny days, blue skies, family, a caring, 24/7 Nursing staff, convertible outings, home visits to celebrate special occasions and Holidays, and family photos. Son, Rick was able to visit several times to help, enjoy time together and to be one on one with our sweet mother. …God’s gift of Love. The folks were the only couple at the Nursing Home. They were able to share a room till Dad, John Slagter, passed July 26, 2019. There will be a DOUBLE Memorial Service April 27, 2019 at 11AM at Stroo Funeral Home, 1095 68th Street SE, Grand Rapids, MI 49508 to remember John & Eleanor Slagter. Eleanor is survived by children, Rick Slagter of GR, Barb and Jerry Andreas of CA, grandchildren and great grandchildren, sisters Millie Cammenga, Herm and Joan (Sister) Zylstra, Sister in Laws: Lois Huizenga and Thelma Snoeyink, Marge Wiersma, Betty Wiersma. 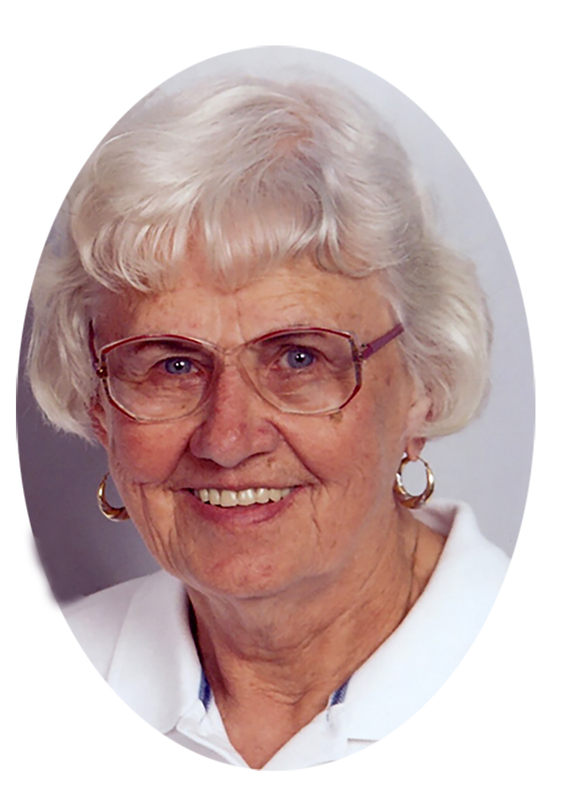 Eleanor was preceded in death by husband John, parents Gerard and Pauline Wiersma, brothers Ken & sister in law Ruth Wiersma, Brothers; Robert Wiersma, John Wiersma, In laws, Jack & Marian Slagter, Bill Huizenga, Cal Snoeyink. In lieu of flowers, please consider supporting cousin Mark Wiersma and his wife Anne. Missionaries in Jos, Africa. Online: For info & donations: www.resonateglobalmission.org. Search "Wiersma” Add 201903DM07, for the donation to be matched.